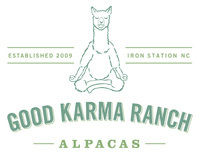 ¨ 1st Place & Color Champion, 2010 North American Alpaca Show (Level V, ~43 grey males, Diana Timmerman). • We accomplished one of our biggest (and toughest) show ring goals at 2010 North American. This was to have one of our studs win Color Champion AND one of his offspring win Color Champion at the same show. Goal Achieved - and at a Level V show no less! A.L. 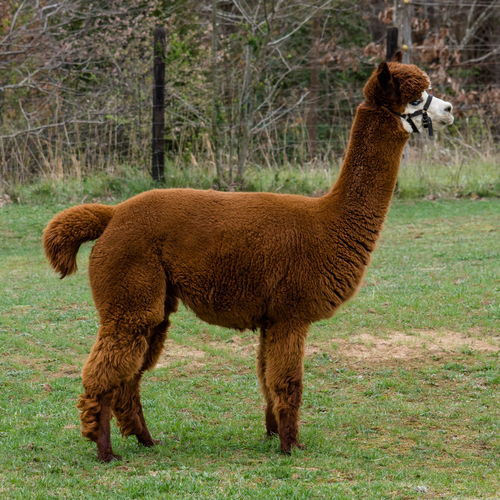 Paca's Revlon won Grey Female Color Champion. Photos of Revolution and Revlon with their Color Champion photos posted here. • Revolution himself was still Color Champion quality just almost 5 years of age. He has now been awarded Color Championships from 2006 through 2010, a total of 5 consecutive years. 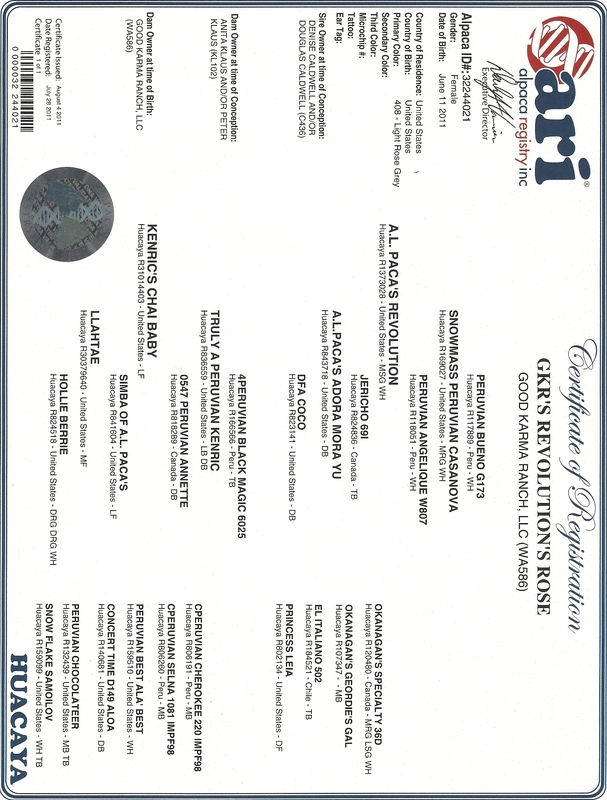 • The other Revolution offspring at the show placed in the top of their classes. A rose grey male placed second, a fawn male placed 3rd and a bay-black male also placed 3rd. • We have been looking for a new black male to add to our program for many years now and we finally found him at this show. He's still a juvenile, but to look at him you would think he's ready to go to work. He has a beautiful fleece (super soft handle, remarkably consistent and glowing brightness)! More info on IF Santiago is coming soon but we'll tell you that we did not have to stray too far from home for him as he is one of Revolution's offspring! Watch out for Santiago (he'll be stalled with Revolution at 2010 MAPACA). AND a huge thank you to Ken and Ruth Hopkins of Independence Farm for selling us a half-interest in this striking up-and-coming sire. 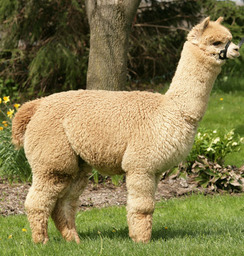 ¨ 1st Place & Color Champion, 2009 PAOBA Breeder's Showcase (Level IV, 34 grey males, Jill MacLeod). 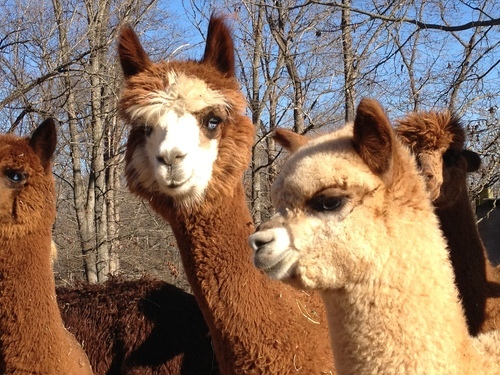 Chai will come bred to Snowmass Lover's Legend, an elite male with elite cria on the ground. 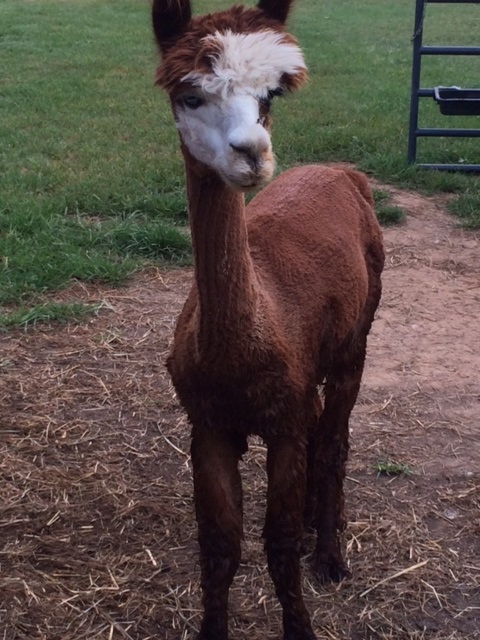 She is rose gray and comes with a breeding back to Sunset Hill's Jedi's Polaris who has multiple champion offspring on the ground.